Tanzania tour operators are rolling out the red carpet, eyeing a slice of thousands of mountaineers expected to ascend the Seven Summits later this year. The Seven Summits, a well-known mountaineering objective, are the highest peaks on each of the seven continents. Climbing to the summits of all of them is regarded as a mountaineering challenge, first achieved on April 30, 1985 by Richard Bass. The Seven Summits achievement has become noted as an exploration and mountaineering accomplishment. 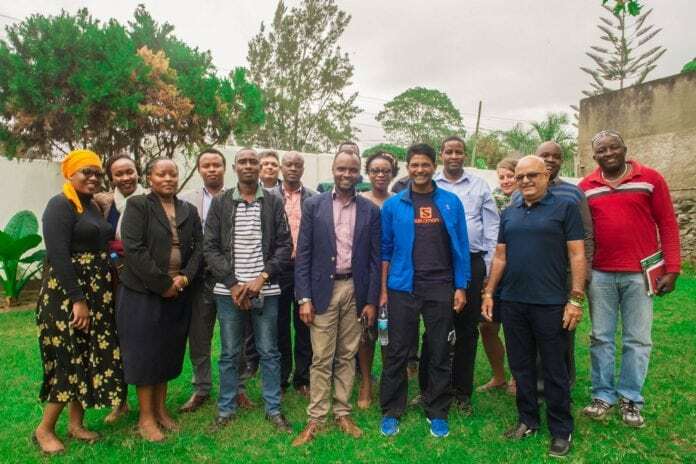 On Thursday, August 23, 2018, members of the Tanzania Association of Tour Operators (TATO) held talks with the President of Global Expeditions Club Malaysia, Mr. Ravichandran Tharumalingam, to bring at least 100 mountaineers to hike Mount Kilimanjaro, Africa’s highest peak. “I will work with Tanzania’s embassy in Malaysia to woo 100 Asian mountaineers to scale Mount Kilimanjaro as part of the Seven Summits challenge,” Mr. Tharumalingam told the TATO members. He hinted that three volcanic peaks in Africa, namely Mount Kilimanjaro (Tanzania), Mount Kenya, and Rwenzori in Uganda, are part of the 2018 Seven Summits challenge. Mr. Tharumalingam, who scaled-up Mount Kilimanjaro six times, commended Tanzania National Parks (TANAPA) for well conserving the flora and fauna on the world’s free-standing mountain. “A lot has been improved on Mount Kilimanjaro, including a well-conserved park and provision of quality services, thanks to improved communication skills on the part of tour guides,” he underlined. TATO Chief Executive Officer Mr. Sirili Akko, who spearheaded the talks, said the idea behind the meeting was part of comprehensive approach to promote Tanzania’s tourist attractions in Asia, the biggest emerging travel and tourism market. Mr. Akko further said that TATO has resolved to diversify its tourist market from the long-established sources of western countries and a few African counterparts. Tanzania’s traditional tourist sources are the United States, Britain, Germany, Italy, France, Spain, and the Scandinavian countries. It also receives a sizeable number of tourists from South Africa and Kenya. “We are now generously throwing our gates open for tourists from Asian countries such as Malaysia, India, China, and Japan,” the TATO CEO explained. Arusha District Commissioner, Mr. Gabriel Daqqaro, praised TATO for spearheading a public-private partnership in tourism, vowing to work closely with the association to spur the industry. According to the 5-year marketing blueprint rolled out in 2013, Tanzania anticipates welcoming 2 million tourists by the close of 2020, boosting the revenue from the current $2 billion to nearly $3.8 billion. LIJIANG, China - During the National Day Golden Week, Lijiang in Southwest China’s Yunan province, known for its romance and bars, becomes a hot spot for holidaymakers. BANGKOK, Thailand – Centara Hotels & Resorts welcomes Ms. Cathy McConkey as the General Manager of Sandy Beach Non Nuoc Managed by Centara in Da Nang, Vietnam.